The Community Foundation for Greater Atlanta recently partnered with ChooseATL for the 2017 Mayoral Forum on the Arts. 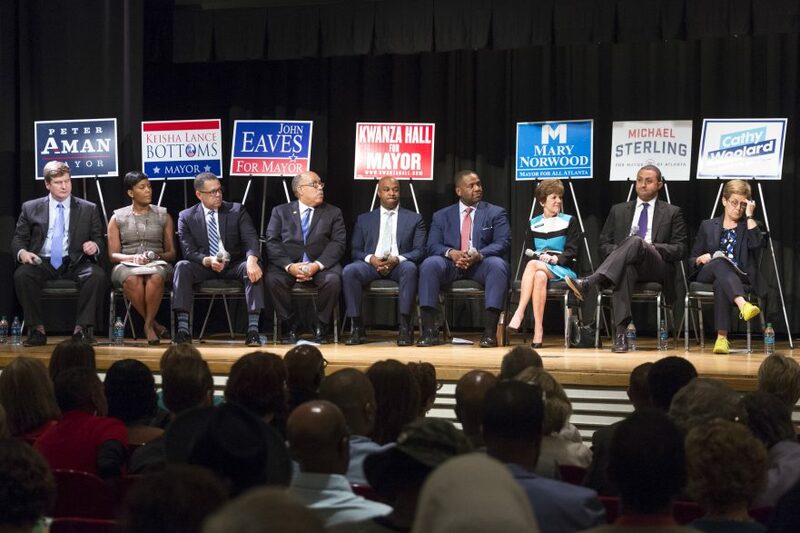 The forum, which took place on Monday, September 25, offered citizens a chance to hear candidates discuss their arts platforms and how they will help support the growing arts and culture community continue to thrive. The free event “sold out” the Rich Auditorium at the Woodruff Arts Center. “Atlanta’s next mayor has a foundation to build on for increased public funding for the arts. There are ripe opportunities to advance Atlanta with the arts as a core strategy. The Forum planning team was thrilled that we had a full house for this event,” said Lisa Cremin, director, community advancement, at the Community Foundation. As an organization that believes in open civic discourse and discussion, we streamed the forum on our Facebook page. This gave citizens who weren’t able to attend the opportunity to listen and participate in discussion. The event had over 400 attendees at the Woodruff Arts Center. The stream, which has had 4,261 views as of Thursday, September 28, can be watched below. Other partners for the forum include Chris Appleton (Wonder Root); Heather Infantry (Moving in the Spirit); Lara Smith (Dad’s Garage); Mary Susan Wheeler, Randy Donaldson and Janine Musholt (Woodruff Arts Center), Josh Phillipson (Atlanta Regional Commission); Allan Vella (The Fox Theater). We would like to thank everyone for their hard work on this great event.